Dr. Srivastava completed MD (Dermatology, Venereology and Leprology) from Nagpur University. She has been associated with various dermatology & cosmetology centers in the past. Dr. Srivastava has keen interest in research and publication. 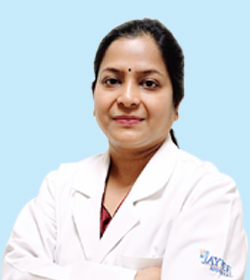 Dr. Srivastava has experience of 11 years in the field of dermatology. She is an expert in clinical dermatology performing minimally invasive and non invasive cosmetic dermatology and dermatosurgery procedures. She has special interests in botox, fillers, nonsurgical face lift, lasers, chemical and medical peels and microdermabrassions. She also has experience in treating HIV and Leprosy patients.